Halfway through the summer season, as the sun rays bakes the earth beneath and the sweltering heat spreads,what seems like its long lasting hands, on Lebanon’s coastal towns, a wondrous spiny yellow and orange little cacti fruit makes its entrance to the market, sold on carts. DNA analysis indicated O. ficus-indica was domesticated from Opuntia species native to central Mexico. The plant spread to many parts of the Americas in pre-Columbian times, and since Columbus, have spread to many parts of the world, especially the Mediterranean, where they have become naturalized. Also known as cactus fruits or “sobbeir” in Arabic, prickle pear trees were found along the Lebanese coast, especially in the northern and southern parts up to 900m of altitude; people grew them as fences for their gardens and orchards, but also benefited from the tasty fruits consumed fresh or used for Arak processing. Cactus trees are very well adapted to arid and semi-arid climates, and have been cultivated for long time in Lebanon. 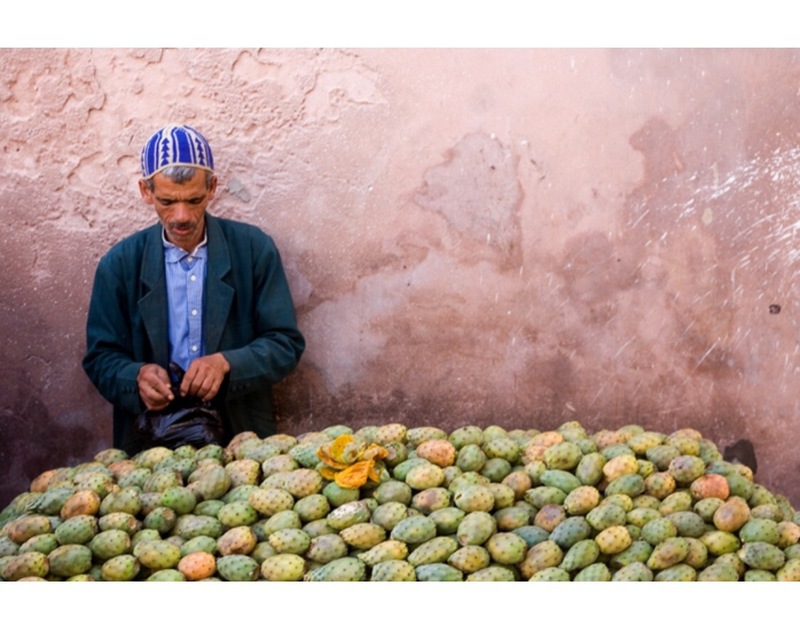 Although the southern villages around the Hasbani River have produced more than ten thousand tons of fresh fruits during the past 5 years, this crop is still underutilized with absence of governmental support. Planting cactus is not an expensive production and does not require a lot of maintenance and attention, hence it could be considered as a new source of income to small farmers and contribute to the biodiversity of the farms. 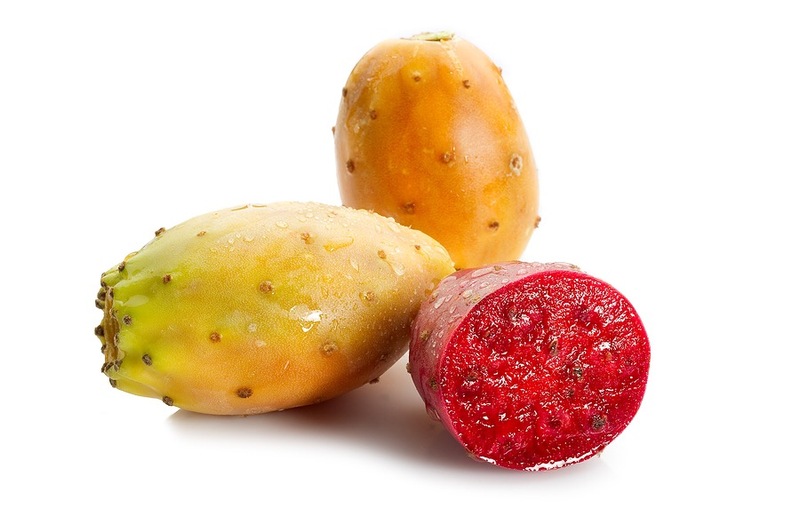 Prickly pear are delicious fruits with many health benefits. This ancient fruit, eaten for 9,000 years, may be the next big thing. Packed with a number of nutrients including calcium, potassium, magnesium, and phosphorus, they are also a very rich source of Vitamin C which makes this fruit a booster for the immune system. A medium sized pear fruit provides 1/3 of the entire daily need of vitamin C. Due to that, it was once used to mitigate scurvy. Cactus fruits also contain a significant amount of fibers that are very beneficial to the digestive system among other health benefits. These high-fiber fruits are also an excellent source of antioxidants and carotenoids having an important role in fighting diseases. Peeling prickly pears can be tricky and painful because of the tiny needles that cover their skin. 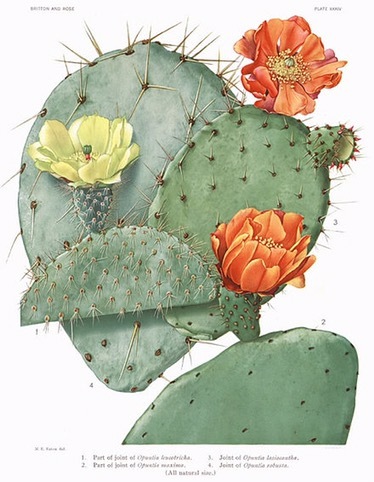 With a knife and wearing thick gloves: cut both ends of the prickly pear off, slice the body of the fruit vertically, peel the fleshy skin. It’s the way the men selling them on their carts do it. My childhood was sometimes like a sea voyage. Summer staring through grape leaves, Prickly pears and fig trees, as snails creeped out of straw baskets. There were beautiful silence and sometimes horrid war violence. I don’t know why but prickly pear is always reminded me of Beirut, specially on its hot summer days with its deliciously tart yellow-orange pulp, hard to reach, yet just there in hands reach. Tricky this prickly pear cactus with its bitter thorns, laden with impossible blood sweet fruit, beautiful deep in color on the inside, rough on the outside.